Each block of images on a page is assigned it’s own Gallery. 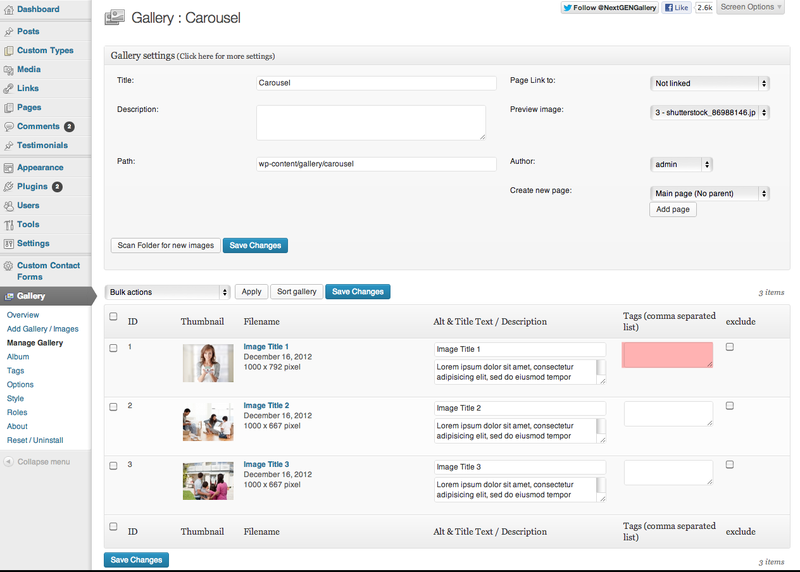 Step 2: Click on Manage Gallery and select the gallery you’d like to change. Step 3: To delete any unwanted images, click the checkbox next to the images you would like to get rid of and in the Bulk Actions drop-down, select Delete. Finally, click Apply to delete the images. Make sure you hit Save Changes before leaving the page. Step 2: Click on Select Files to select pictures from your computer. If you look at the Past to Present section, when you click on an image, in some cases you get a small piece of text underneath it. Step 2: Next to each picture, you will see a box with room to add a description. Place the wording you would like to associate with the image here. Meta Data is a scary sounding word that masks a very simple process. Basically, Images are ignored by search engines like Google as they contain no readable content. Using the Tags box next to each image, you can add some keywords that describe the image. It could be “Ruislip, Carpets, Pergo, Carpet Fitting, 20% off Carpets”. By doing this, you’re essentially telling the website what the image is all about. The website can make sense of the image and as a result, when Google comes snooping to see what this website is all about it can get an extra bit of information. And this extra bit of information can place you higher in the search engines.